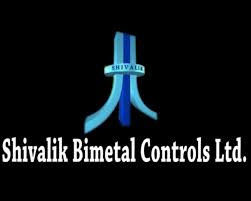 Shivalik Bimetal Controls Ltd (Shivalik) is engaged in manufacturing of Bimetals and Shunt Resistors. The company’s plant is located at Solan, Himachal Pradesh. The company is led by Ghumman and Sandhu families. Mr. NS Ghumman, the MD of the company, is considered to be one of the pioneers in bimetal industry. The company was earlier into manufacturing of cathode ray tube (CRT) but the demand for the product declined significantly post introduction of LED and LCD television. Shunt Resistors - I am more excited by the shunt resistor segment and will talk about it more. Over the past two years, whatever growth has happened in the company seems to be mainly on account of shunt resistors. Electronic beam welded (EBM) shunt resistors are primarily used to detect current. The company has developed shunt resistors which are used in battery management system (BMS) of electric vehicles. In BMS, shunt resistor play a key role because if the detection of current is not accurate, the current can damage the battery. Although, there are thousands of shunt resistor manufacturing companies in the world, from whatever research some of us have done, it seems that the ones which make shunt resistors for detecting low ohmic current (in micro amperes) and that have low temperature coefficients (able to withstand high temperature and not loose their current detection capabilities) are hardly few. From whatever research some of us have done, it seems that currently there is limited competition for the shunt resistor used in BMS with hardly few players manufacturing it. Furthermore, the key technology for shunt resistor manufactured by the company is the welding through EBM machines. Although, the contribution of shunt resistors in overall BMS is pretty small, but its is a very important part of it. The company has an established relationship with one of the large semiconductor companies based out of US and it has been one of Shivalik’s biggest customers. The customer is a diversified electronics company and manufactures range of electronic components like diodes, resistors etc. The customer supplies shunt resistors to BMS manufacturing companies who in turn supply to electric vehicle manufacturers (Shivalik being a tier III OEM supplier to EVs). It seems that the company has been working on shunt resistors for a long time. As per some scuttlebutt, it seems that company has also been trying to supply directly to EV manufacturers. It takes years to get approval from large vendors due to their stringent qualification criteria. The company also has some of the important certification required for supplying such products for Automobile applications like TS 16949. It also follows standards outlined by the Automotive Electronics Council (AEC). Apart from usage in BMS of EVs, the shunt resistors are also used in smart meters used by electricity distribution companies. With increasing automation of cars, the usage of shunt resistor is expected to increase. Bimetals: Bimetal refers to an object that is composed of two separate metals joined together. Instead of being a mixture of two or more metals, like alloys, bimetallic objects consist of layers of different metals. Bimetals have application where current or temperature detection is required. Bimetals are mainly used in circuit breakers, trippers, electronic alarms, fire alarm etc. The company is amongst the largest players in bimetals in the world. The company has established clients like Honeywell, Siemens, L&T, Havells etc. The company is one of the few (in some case the only one) local supplier of bimetals to many MNC companies. The sales of bimetals has largely remained flat over the past few years primarily as it is a proxy play on real estate which is facing headwinds over the past few year. Furthermore, the size of the market is also limited. The company is trying to make a headway into export markets but getting vendor approval takes time. The company is also working with defence for supply of some material (hardly any sales now) and disc grade bimetals (used in high end geyser). The key thing in both shunt resistors and bimetals is to get an entry into an established customer which also acts as an entry barrier. The company’s major raw material is copper alloy which is being imported currently and is in short supply. The company seems to be able to pass on volatility in raw material prices and forex to its customer. On account of increasing demand of shunt resistor, the company has started working on a capex plan to triple its capacity in both bimetal and shunt resistor space. What attracted me to the company? • Proxy play of EVs: The company has been able to break into the EV space and the demand for the product can be exponential. Furthermore, there seems to be limited competition for the product. • Established customer base: The company has an established customer base in both shunt and bimetal segment. Such customer base does act as an entry barrier for other entrants. • Valuations: This year, the company might do EPS of around Rs.3.5 and is thus trading at PE valuation of 30 times which is not cheap by any means. Furthermore, there seems to be a onetime write off of Rs.6 crore this year (just an assumption) of long term trade receivables (of CRT customers) from P&L out of which around Rs.2 crore seems to have been written off during H1FY18. Despite adjusting that, the stock is richly valued. • Technology obsolescence risk and increase in competition: The company faces technology obsolescence risk for shunt resistors. Although, currently there are not many options available for detection of current in BMS, it seems that some other technology like Hall Effect Sensors can replace shunt resistors. Furthermore, the competition for the product might increase with increasing market size especially from Chinese and Korean companies who are leaders in semiconductor space.